George Bumann (rhymes with ‘human’) is a professional sculptor living with his wife, young son and two black Labradors at Yellowstone Park’s northern entrance in Gardiner, Montana. George has been a life-long observer of nature and was raised in his mother’s New York sculpture studio. He holds both Bachelor’s and Master’s degrees in wildlife ecology and has worked in the fields of wildlife research, taxidermy, back-country guiding, environmental consulting and has taught art and natural history programs for youth, adult, and university audiences since 1990. 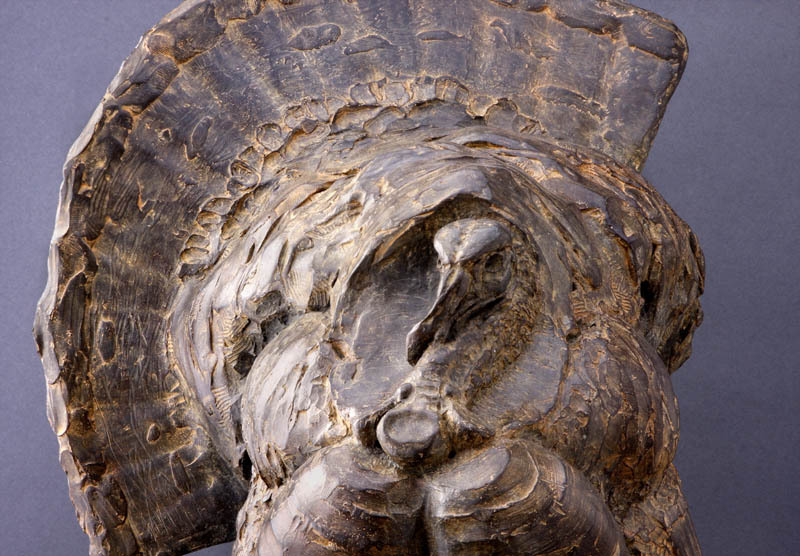 George’s work can be found in collections throughout the United States and around the globe. 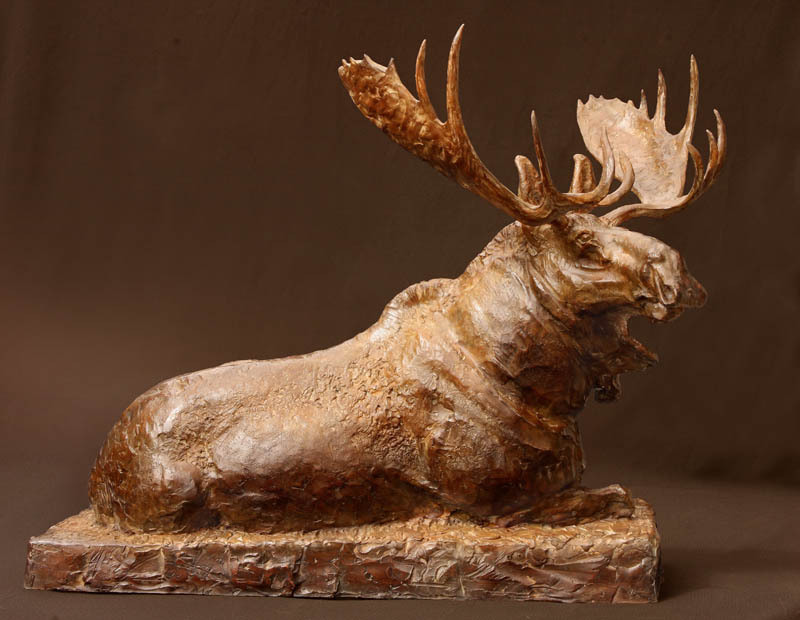 His sculptures reside in the permanent collections of the National Museum of Wildlife Art in Jackson Hole, Wyoming, the Brinton Museum in Big Horn, Wyoming and the C.M. Russell Museum in Great Falls, Montana and was featured in the book, “Sculpture of the Rockies,” by the editors of Southwest Art Magazine. 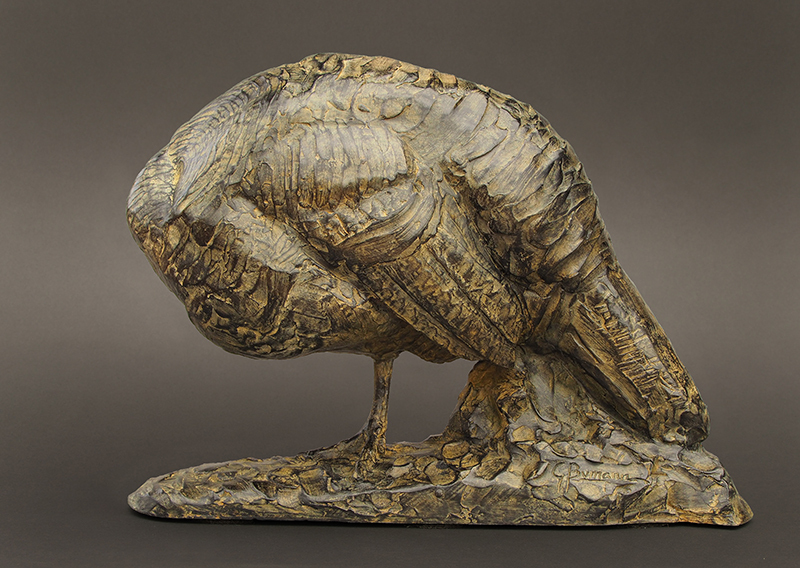 As an elected member of the National Sculpture Society and the Society of Animal Artists, his works have been shown at the Societys’ annual exhibitions as well as the Coors Art Exhibit & Sale, Bennington Center for the Arts’ – “Art of the Animal Kingdom,” the “Birds in Art Exhibition” at the Leigh Yawkey Woodson Art Museum, the C.M Russell Auction, and Loveland’s Sculpture in the Park, among others. George’s art and educational outreach have been featured in publications such as the Salt Lake City Tribune, Los Angeles Times, Washington Post, Sacramento Bee, and on television, radio, and online through the Canadian Broadcasting Corporation (CBC), Travel Channel, Discovery Channel, and Tedx Bozeman. Check george bumann's availability on the calendar below. include the date and time requested on the form below. Dates and times are offered on a first come first served basis. You will be asked to submit information about yourself including materials to review.